Mala Begum Pakistani Filmi Playback Music singer. She was most popular playback Singer of Urdu and Punjabi Films and she was also great Ghazals singer of Pakistan. Mala Begum sung super hit songs with a hit pair for singing duet Filmi Songs with famous playback singer Ahmed Rushdi. She gave numerous hits to Pakistan Film Industry along with Ahmed Rushdi. She sung many super hit songs in almost two decades of her singing career in the 1960 and 1970. She was greatest accomplishment was the Filmi song 'Akele Na Jaana' in Film Armaan. Mala Begum won the Nigar Award for best singer for the Film Ishq Par Zor Nahin. She won the Nigar Award for best singer for the Film Naila in 1965. She was very popular her great talent, and she was well known and famous among masses. I have selected most popular Super Hit Filmi songs of Pakistani Filmi Music Playback Singer Mala Begum. Mala Begum was born on 09 November 1939, in Faisalabad Pakistan. Her original name awas Naseem Nazli, later she changed her name to Mala. She was great Singer of Pakistan and she created great name in Pakistan Music. She started singing song Aaya Re Dekho for Film Sooraj Mukhi 1962 and music of this movie was composed by Master Abdullah and the Film went on top. 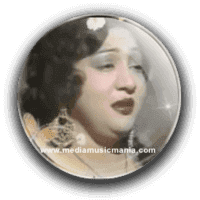 Mala Begum rendered her voice to a tragic Urdu song Dil daeta Hai Ro Ro Duhai, Kisi Sey Koi Pyaar Na Karey Film Ishq Par Zor Nahin 1963 and the music was composed by Master Inayat Hussain. Great artist of Pakistan was died on 06 March 1990.